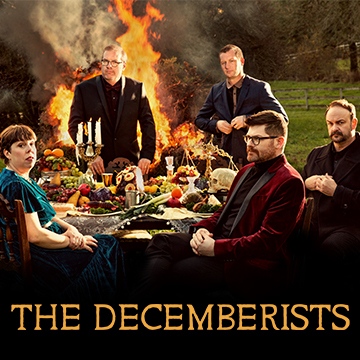 The Decemberists explore a new sound with a new producer on their inspired eighth studio album I’ll Be Your Girl, which will be released March 16 on Capitol Records. The acclaimed Portland, Oregon-based band worked with producer John Congleton (St. Vincent, Lana del Rey) and embraced influences such as Roxy Music and New Order to spark a new creative path, as can be heard on the synth-driven lead single “Severed,” which is available now to stream or download. Tickets priced €36.50 on sale now through www.ticketmaster.ie & usual outlets nationwide.